"We really wanted to do something that was as disruptive as the people who we were making the story about." Awards Daily talks to Valley of the Boom creator Matthew Carnahan about his new NatGeo series, which premiered at the 2018 Napa Valley Film Festival. Showrunner Matthew Carnahan (Dirt, House of Lies) takes on the rise of the Internet with his new NatGeo series, Valley of the Boom, starring Bradley Whitford, Steve Zahn, Lamorne Morris, and John Karna. But the show isn’t your run-of-the-mill limited series, with a hybrid of documentary interviews and creative narrative storytelling. I had a chance to sit down with Carnahan at the Napa Valley Film Festival, to discuss the series, premiering in January 13, 2019 on NatGeo. We talked about reeling in Steve Zahn, interpretive dance, and what Google thought of the pilot. Awards Daily: What made you decide to mix documentary style with narrative style? It’s so unique. I’ve never seen anything like it on television. Matthew Carnahan: Well, I think it was because we were greedy. There was a compelling scripted story to tell but also these amazing people who are still very much with us, who made history and changed the way we see the world every day. We could be creative: do compelling scripted drama with documentary accents sprinkled in. AD: How daunting of a process was it, to have interviews and a script? What was the writing process like? MC: The writing process was strange and a little lumpy. If we get to make another season, it will be a lot easier, but the first time out, we just didn’t really know exactly how to do it, so we just spent about 8 months doing research and creating a rough narrative based on what we did know, then we started doing pre-interviews, some on-camera interviews. Then we started our writers’ room and I had to hand in a pilot script for the first episode, which I had to make up all of the unscripted part because we hadn’t interviewed the people yet. So I had to come up with what I hoped they would say. Then we’d get notes on the things that I had made up, so it was very confusing. As we got further into the process and started doing more interviews in the can, we could actually use the real interviews, and it became a lot smoother, less predictive and more drafted. AD: It’s such an interesting style. You break the fourth wall, too. MC: I’m so glad it’s received that way. We really wanted to do something that was as disruptive as the people who we were making the story about. AD: How long did it take to put it all together? MC: It’s been almost two years since the very start of the process, about a year and a half from the time we started to the time we had something completed. AD: The cast is great, too (Bradley Whitford, Steve Zahn, Lamorne Morris). Did you have any actors in mind when you were writing the parts? AD: You mentioned the desire to do a second season. What would that entail? MC: Internet 2.0, which would be what started Google, Facebook, Apple, the social media revolution, the rise of Amazon, the ubiquity of video, YouTube, and women as CEOs and founders, which you really don’t see a lot of in our version because it just didn’t happen. AD: Yeah, I thought about that. You’re not excluding people—that’s just the way it was. MC: Tara Hernandez is a character that comes in in the third episode, and she was an original engineer on the build team at Netscape and is a remarkable human being. She’s incredible. She informed us that there were actually more female coders and engineers back then than there are now. But at least there are now founders and CEOS who are women. AD: I heard you screened the pilot at Google headquarters. What was the reception there like? I think it was positive, but it’s hard to know because it wasn’t very well attended because they’re in a bit of a crisis right now, actually concerning women in the field. They’re in the middle of their own #MeToo explosion. I think morale was low, and therefore attendance was low, but it was weird to be in the sanctum sanctorum of Google, knowing this thing about the origins of the Internet. AD: Were there any other liberties that you took with the story? 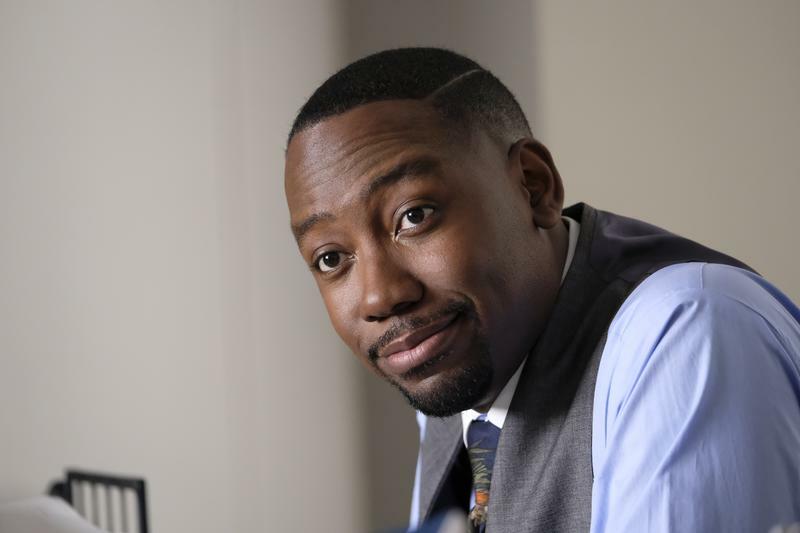 MC: We created an entire fictional character out of Darrin, the character Lamorne Morris plays. But he points that out a lot, that he’s a collage of finance bros of the period, representing the shallow greed and inquisitive nature of Wall Street swooping in. AD: You also have an interpretive dance in the pilot. MC: You gotta have an interpretive dance! AD: What was the motivation there, because it is so interesting and funny? AD: So, it’s mostly a true story. MC: You don’t know the dream ballet didn’t happen!